It’s the Most Magical Time of the Year! The Holiday Season begins at the Disneyland Resorts on November 10. During the holidays, guests will experience festive cheer as the entire resort transforms into a winter wonderland filled with seasonal attractions, joyful entertainment, jolly décor and themed treats that make every day feel like a holiday. There are many great holiday activities including the Christmas Parade, ‘Believe … in Holiday Magic’ Fireworks and snowfall in Disneyland Park. A Christmas Fantasy Parade has become a holiday tradition during the Disneyland Holidays. Guests enjoy watching as Disney characters celebrate the magic of the season, wrapping gifts, baking holiday treats and preparing for the arrival of Santa Claus, who shouts a jolly greeting to spectators along the parade route. Mickey Mouse and Minnie Mouse even take to the ice for some skating fun. Mickey, Minnie, Goofy and other Disney Characters don their most festive apparel for this extravaganza that welcomes Santa Claus to Main Street, U.S.A. Don’t miss Anna , Elsa and Olaf, too, who make an appearance on their Frozen float. The most popular areas to watch A Christmas Fantasy Parade are either on Main Street, U.S.A., or near “it’s a small world” in Fantasyland. Consider other locations that may have available space, such as near the Matterhorn or in Town Square on Main Street, U.S.A. Also consider watching the parade from an elevated location, like the Main Street Train Station – you can get fantastic views of the parade from a unique vantage point. Plus, you’ll almost be at eye level with Santa Claus during his big finale! And remember, if you need to cross the parade route to get to another destination, just ask one of the Cast Members carrying an orange baton where to find the nearest crossing, and they will point you in the right direction. Each evening, let the magic of the holidays fill your heart as this splendid spectacle fills the sky. Share the wonder with your family as festive fireworks burst, lights shimmer and seasonal songs bring goosebumps to one and all. It all culminates with the grandest of grand finales. As the sky blooms in a rainbow of dazzling bursts, more than 80,000 twinkling lights illuminate Sleeping Beauty Castle with sparkling “icicles” and shimmering snow-capped turrets. And as a special holiday treat, delight as snow falls in the skies above “it’s a small world” holiday in Fantasyland, over portions of Main Street, U.S.A., and, on select nights, near the Rivers of America. Main Street U.S.A. is the Disneyland Holidays overture and the encore for a visit to Disneyland Park. Its majestic 60 feet tall tree glimmers with nearly 4,800 energy-efficient LED lights and has over 2,000 ornaments. The Christmas tree is a popular guest photo location during the Disneyland Holidays. Stroll the snowy avenue and pick up some handmade candy, freshly created by expert confectioners, and stop to listen to the Christmas carolers. Snow falls on Main Street U.S.A. during the Disneyland Holidays (and in front of Sleeping Beauty’s castle) and where is that wonderful aroma of gingerbread coming from? The centerpiece of the holiday décor during the Disneyland Holidays in Mickey’s Toontown is an 18-foot cartoon-style Christmas tree in front of Toontown City Hall. The personal Christmas trees in the front yards of Mickey’s and Minnie’s houses also carry the “toon” theme. Over in New Orleans Square, you’ll find Mardi Gras-style holiday bunting and oversized ornaments! Look for the huge golden stars and moons in the trees near the French Market. 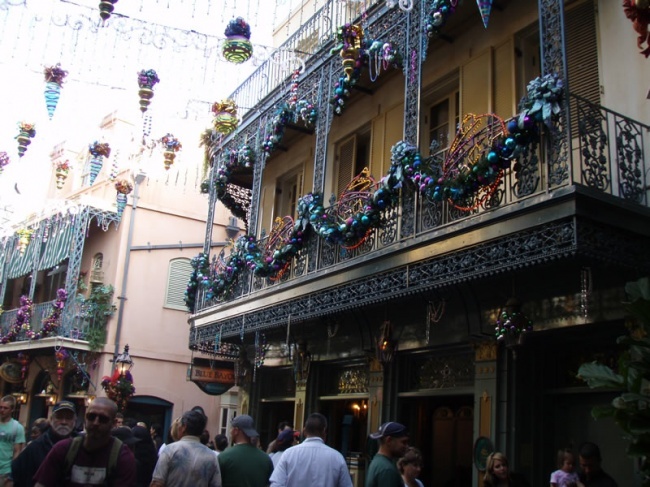 An annual holiday ornament shop also opens for the holidays in New Orleans Square. Lastly, Fantasy Faire will celebrating the holiday season this year with its own custom Christmas decorations! Festive international decorations, including 300,000 dazzling lights, turn this area into a winter wonderland, while holiday customs from around the world are celebrated inside the attraction. You’ll delight in all of the seasonal decorations and the dolls will be in their nations’ holiday attire. ‘Jingle Bells’ is performed in many languages. Among the holiday special effects inside the attraction: pine tree and peppermint scents in the European scenes; 75 gallons of bubble juice to make bubbles throughout the season in the South Seas scene. Nearly 150 giant candles decorate the Christmas Tree in the European scene. A sparkling snowman dressed in a gold top hat, golden scarf and hundreds of twinkling lights stands atop a 10-foot-wide snowflake in the attraction’s finale scene. A frosty snowflake mobile twirls over his head, and his “Happy Holidays” sign is sculpted out of ice that changes color. Outside the attraction, wreaths decorate the poles around the small world mall – each wreath unique and inspired by parts of the attraction! 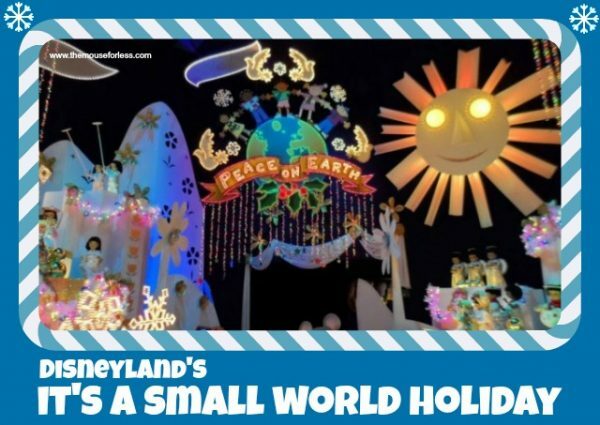 it’s a small world Holiday will offer FASTPASS. The FASTPASS distribution location for it’s a small world Holiday can be found near Matterhorn Bobsleds. The Haunted Mansion attraction in New Orleans Square is transformed each year to become Haunted Mansion Holiday. Jack Skellington and friends from Tim Burton’s The Nightmare Before Christmas give this classic attraction a festive makeover as the traditions of Halloween and Christmas collide in a madcap celebration. The Haunted Mansion Holiday exterior is decorated with more than 100 jack-o’-lanterns and the eerie glow of more than 400 flickering candles. Don’t miss the ginger-bread house in the Mansion’s Great Hall – each year Disney Imaginears offer up a new and unique creation. The graveyard in the Haunted Mansion Holiday finale is covered with 7,500 square feet of snow. Trees in the graveyard are decked out with 1,000 tiny orange lights. The Jingle Cruise will not take place during the 2018 holiday season at Disneyland. The Jungle Cruise attraction transforms into the Jingle Cruise. After a supply plane accidentally dumps its load of gifts, goodies and decorations in the jungle, the holiday spirit takes over. See the jungle creatures and native tribes celebrate the Disneyland Holidays in a whole new way. Santa Claus and his Helpers can be found at Pooh’s Thotful Spot in Disneyland. Watch the children’s eyes light up as they spend some time with St. Nick. Santa visits through December 24. Check with the venue for specific times for the day of your visit. This much anticipated treat will be offered on specific days during the Disneyland Holidays. Candy Cane making days are alternated between Candy Palace on Main Street USA in Disneyland and Trolley Treats on Buena Vista Street at Disney California Adventure. Visitors line up at Candy Palace in the mornings to receive wristbands with the date and batch time on it, which can then be redeemed when the candies are ready. You must be present in person to obtain a wristband and each guest may get not more than two wristbands. Each wristband will entitle the bearer to one candy cane, but guests must pick it up by 4:00 p.m. or the candy cane goes to someone in the standby line. Candy makers usually make three batches of 40 treats each or about 120 candies each day, and park-goers often line at the Candy Kitchen window to watch the candy-making process. These are large candy canes, weighing in at 5.25 ounces. 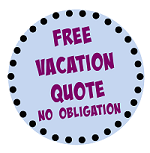 Guests can call the candy hotline at (714) 781-0112 to get updated, weekly schedules prior to your visit. Dates are subject to change. See dates for candy cane schedule at Disney California Adventure. Special food and beverages are available throughout the Disneyland Park. Be on the lookout for treats like holiday krispies, candy cane beignets, peppermint ice cream, holiday cookies, brownies, and Yule logs. Also popular are popcorn buckets, drink steins, and more. Holiday Time at Disneyland guided tour is offered daily during the Disneyland Holidays from mid-November through early January. This tour offers guests an up-close look at Disneyland’s magical yuletide makeover, while highlighting holiday traditions from around the world. Guests receive priority access to two holiday themed attractions, usually “it’s a small world” Holiday and Haunted Mansion Holiday; reserved seating for “A Christmas Fantasy” Parade. Included in the tour is a collectible pin plus a button personalized with your name. Reservations are available at Disneyland City Hall or by calling (714) 781-8687 up to 30 days in advance. The Candlelight Processional at Disneyland premiered on December 20, 1958. The tradition continues today, when hundreds of choir members (comprised of both Cast Members and community choirs), carrying lit candles, will proceed down a darkened Main Street, USA to fill the Main Street Train Station. The group sings classical hymns accompanied by an orchestra, featured guitarist, soloists, bell choir, and fanfare trumpeters. In-between hymns, the Christmas story will be told by a celebrity narrator. 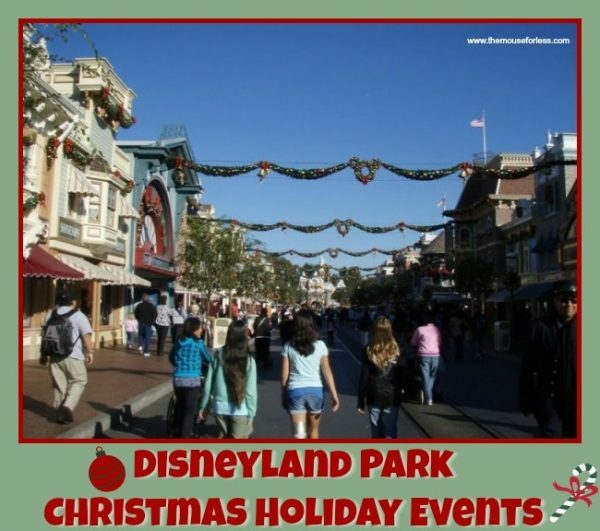 This is an extremely popular event during the Disneyland Holidays. The date for Candlelight Processional is currently unknown. Showtimes both nights were at 5:30 p.m. and 8 p.m. Celebrity narrators for 2018 are currently unknown. 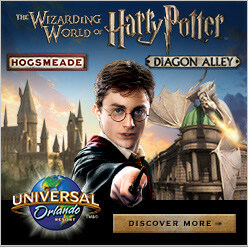 Viewing for “uninvited” guests is extremely limited and on a first-come, first-served basis. Standing-room viewing is available for both performances near City Hall, the Opera House, behind the seating area in Town Square and on the east side of Main St. after the 3:30 p.m. “A Christmas Fantasy” parade passes. There is also a special area for guests with disabilities outside of the Opera House. Look for attractions, merchandise locations and food service schedule changes and closures in the Main Street USA area throughout the day during both performances of the Candlelight Processional. Also, traffic in the area will be directed or one-way only. Additionally, the backstage area west of Main Street may be opened to siphon off excessive crowds in the area. Recently Disney Parks began taping multiple holiday specials that air throughout the season. While the celebrity performances take place at Walt Disney World, the parade is filmed at Disneyland and it will air on Christmas morning. The taping of the Disneyland segment for the annual ABC televised parade “should” take place at Disneyland park in December, although Disney never actually confirms this information. Floats from “A Christmas Fantasy” parade, as well as giant inflatable balloons, are usually included in the procession down Main Street. Park guests with admission are welcome to view the taping segments and should arrive as early as possible. This is an actual television production, so expect repeated filming of individual floats; also the park can be quite crowded on Main Street causing difficulty getting to attractions. Expect the cancellation or schedule changes to the afternoon parades and other Main Street entertainment during the weekend taping.